two × 5 = Required Please enter the correct value. Despite the wide miss, NFLX stock jumped 13% in after-hours trading on strong user growth. Netflix Inc. (Nasdaq: NFLX) stock climbed 13% afterhours today (Tuesday) after the company smashed Q4 earnings estimates. 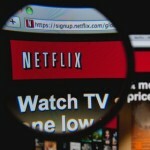 NFLX reported earnings per share (EPS) of $0.72, topping analysts' predictions of $0.44. 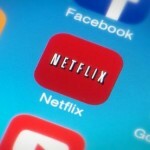 Netflix Inc. (Nasdaq: NFLX) stock plummeted more than 25% in afterhours trading today (Wednesday) after the company’s Q3 earnings report showed lackluster subscriber growth. NFLX added just 980,000 U.S. subscribers during the quarter, well below analysts’ prediction of 1.37 million. Globally, the company added 3.02 million subscribers. Netflix had previously predicted 3.69 million new global subscribers. Netflix Inc. (Nasdaq: NFLX) stock has been hit hard by this month's sell-off, down 8.2% since Sept. 10. That's putting even more emphasis on NFLX's third-quarter earnings report today (Wednesday). Netflix will announce earnings after the bell and analysts are predicting earnings per share (EPS) of $0.93 on revenue of $1.41 billion. Netflix Inc. (Nasdaq: NFLX) grew sales by 5.5% in the second quarter over last year's numbers, and posted a remarkable 141% increase in income, according to its most recent earnings release today (Monday). Netflix stock was up 1.75% to $451.95 on the news of its earnings, and continued to climb in after-hours trading. Netflix Inc. (Nasdaq: NFLX) stock is up 6.45% in after-hours trading today (Monday) after the company beat Wall Street estimates for Q1 2014 earnings as the closing bell chimed. Netflix Inc. (Nasdaq: NFLX) stock is up more than 15% this week after reporting strong earnings on Tuesday. 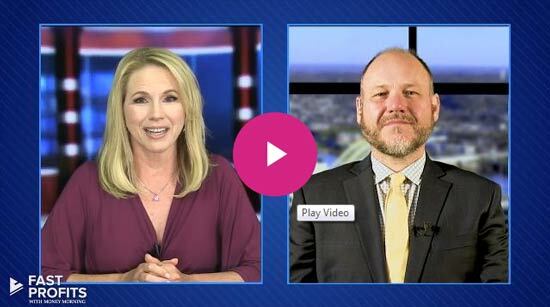 NFLX stock currently trades at $383, but Money Morning's Defense & Tech Specialist Michael Robinson believes the tech stock is heading to $500 - maybe by the end of this year. 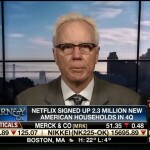 Netflix Inc. (Nasdaq: NFLX) stock was one of the biggest success stories of 2013 - soaring 312% - and should be reflected in Q4 earnings. NFLX is projected to report Q4 earnings of $0.66 per share today (Wednesday), up from $0.13 last year. Revenue estimates are also optimistic at $1.17 billion for Q4. That's up 24% from 2012. The key figure is new users. Netflix is expecting to report 2 million new subscribers for the fourth quarter. That's after adding 1.3 million new customers in the United States in the third quarter.